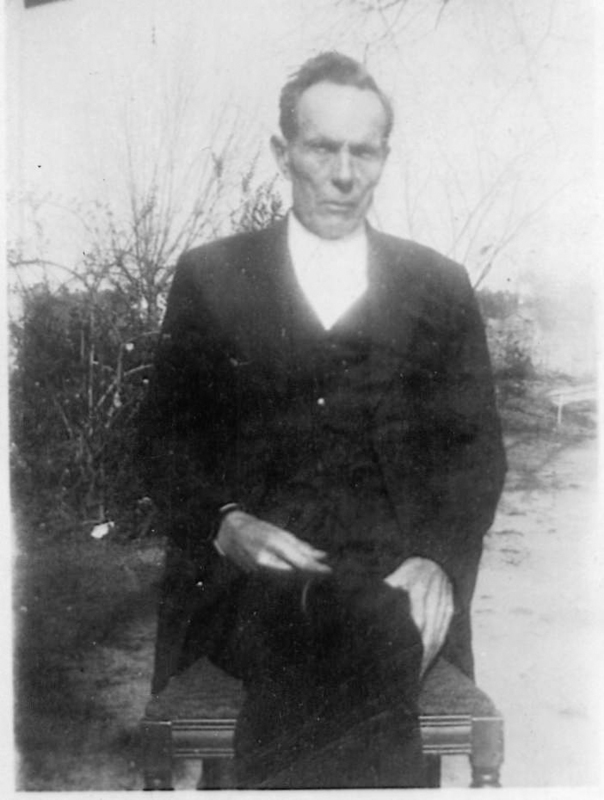 Joseph Henry Pascal Johnson was born and raised on the old Johnson farm in Clinch county, about four miles north of Dupont, GA. His father, Captain Rowan Burnett Johnson, gave a portion of his land for the site of the primitive baptist Prospect Church, J.H.P. Johnson lived in DuPont for some years prior to moving to Ray City about 1913. Joseph Henry Pascal Johnson, of Ray City, GA. Image courtesy of Julie Hutson. In 1900 the newlywed J.H.P. 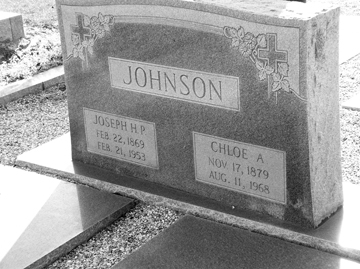 “Joe” Johnson supported his bride, Chloe Ann Gardner, as a merchant in the Dupont district of Clinch County, GA. In the Clinch County census of 1910 Johnson reported his occupation as “farming”. Some time about 1913, the Johnsons moved to Ray City, GA where Joe served on the board of directors for the Bank of Ray’s Mill , and owned several retail buildings prior to the Great Depression. By 1930 J.H.P. the census shows he was back in the occupation of farming, but he was always in the retail business. His death certificate in 1953 gave his usual occupation as “merchant and farmer,” and his type of business was owner of a general merchandise store. 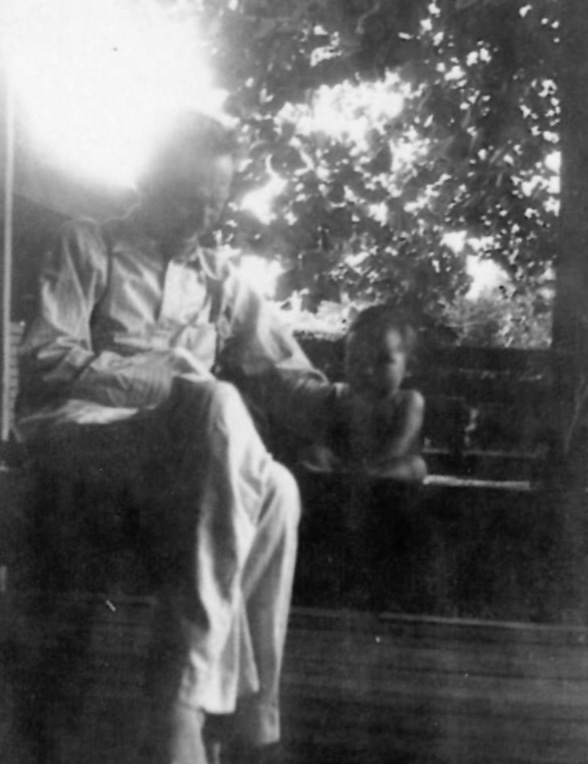 Joseph Henry Pascal Johnson and grandchild. Image courtesy of Julie Hutson. Mr. J. H. P. Johnson, known to his old home-county people as “Joe” Johnson, died in the hospital at Lakeland last Saturday morning, age 83 years following a long illness. Funeral and burial was had at Ray City last Sunday afternoon, the funeral being in the Ray City Baptist Church and conducted by the pastor, Rev. John W. Harrell, assisted by the Methodist Pastor, Rev. D. R. Dixon. Surviving are his wife, Mrs. Chloe Gardner Johnson; three daughters, Mrs. Paul King of Orange Park, Fla., Mrs. R. Lawton LeSueur of Americus, Mrs. W. M. Carlton of Nashville; and six sons, R. G. Johnson of Elberton, J. Wallace Johnson of Valdosta, Floyd V. Johnson of Charlotte, N. C., J. H. Johnson and Maurice Johnson of Ray City, and R. Bruce Johnson of Callahan, Fla.
Mr. Johnson was the last surviving one of the children of the late Hon. Rowan B. Johnson, 1830-1904, well known Clinch County citizen and legislator of years ago. The elder Johnson died in June, 1904, while a member of the legislature from Clinch serving his fourth or fifth (though not consecutive terms) from this county. The mother of the deceased was Mrs. Caroline Floyd Johnson, daughter of Jason Floyd of Liberty County. The deceased was born and reared near Prospect Church, on the old Johnson farm now the plantation of Mr. G. C. Griner; and lived in DuPont for some years prior to moving to Ray City about forty years ago. He engaged in merchandising in Ray City until forced by ill health a few years ago to retire. Mr. Johnson was a very fine, upright man,and had many friends. He was always genial and friendly, and leaves behind the record of a good, clean life filled with many deeds of kindness exemplifying many fine traits of character. Mr. G. A. Gibbs of Homerville, is his nephew. Mrs. O. C. Dukes of Homerville, and Mrs. M. G. Hughes of DuPont, are second cousins. 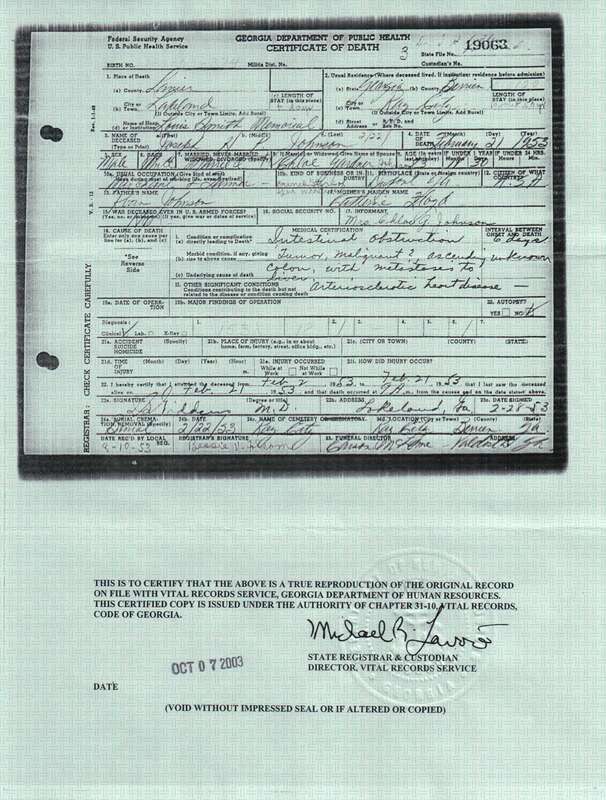 Death Certificate of Joseph Henry Pascal Johnson. Courtesy of Julie Hutson.